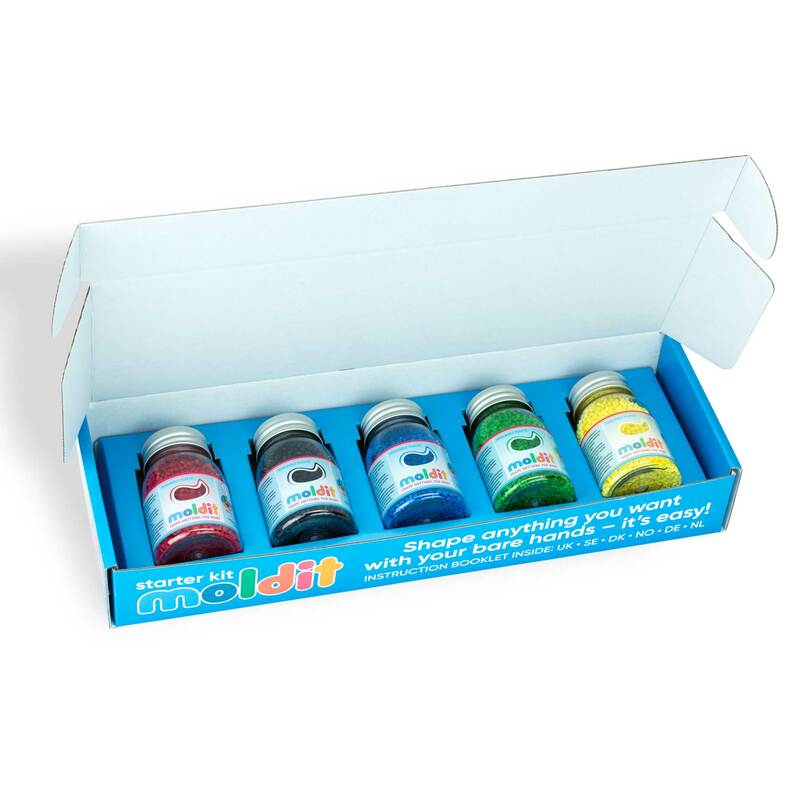 A Moldit Starter Kit is the new must-have for creative souls and DIY fixers. Get rid of all the hassle of fragile model wax that breaks as soon as you look at it. 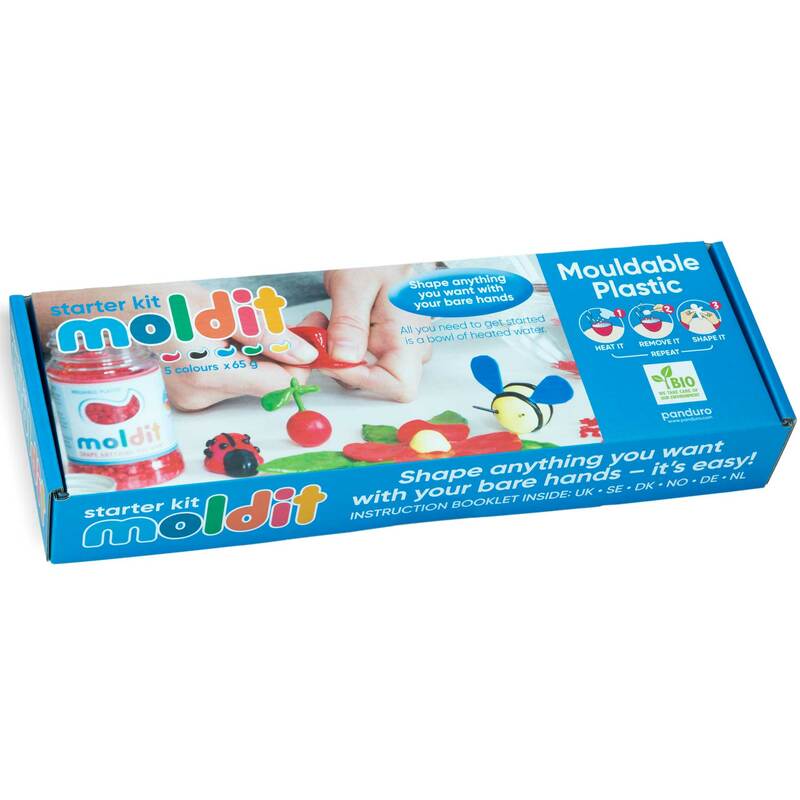 Moldit is 100% recyclable and free from harmful substances. With the popular Moldit Starter Kit, you get many hours of fun and creative performance at an extremely affordable price. Starter Kit contains 325g. Moldit in 5 different colours, as well as a folder with lots of inspiration and instructions on how to get you started. A Starterkit from Moldit is a simple way to make someone you care about happy. With a customer satisfaction of over 98%, Moldit is the perfect gift idea for almost everyone.